Modern Warfare 2 Killstreak Rewards and multiplayer Perks revealed? 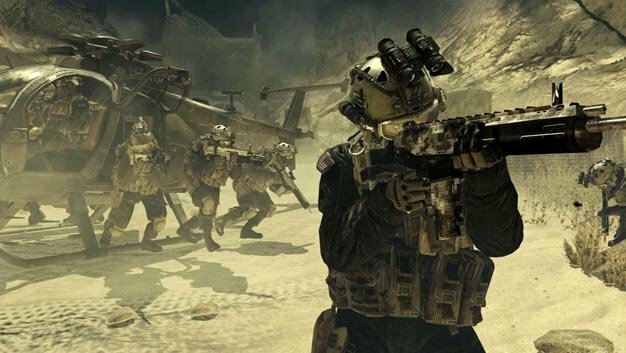 With just over a week away from its release, an early leaked Xbox 360 version of Modern Warfare 2 is making headlines with spoilers including a list of Killstreak Rewards and Multiplayer Perks from the upcoming sequel. Both lists have not been confirmed and are still just rumors. IW’s Robert Bowling said as much via his Twitter page, “Can’t confirm nor deny any leaks for #MW2. Official stance is to just wait and discover the awesome yourself on November 10th.” Lists of rewards and perks follows. The game comes out next Tuesday, November 10, for the Xbox 360, PS3 and PC.